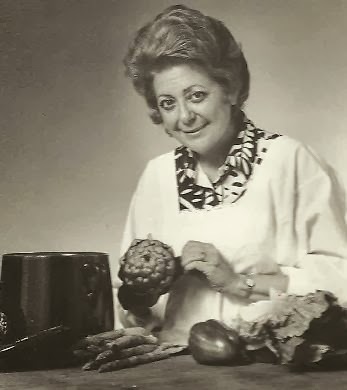 The legendary and incomparable Marcella Hazan passed away September 29 at age 89 at her home in Longboat Key. For our connection with this wonderful cook book author, see: www.eatingitalian.blogspot.com. In a tribute in the New York Times, fellow cook book superstar Mark Bittman talked about a day spent cooking with her, just a few weeks before she died. "She helped make her famous tomato sauce, a slow-cooked affair of canned tomatoes, a lot of butter and half an onion," he wrote. "It's about the best tomato sauce you can make without doing much of anything." We agree. 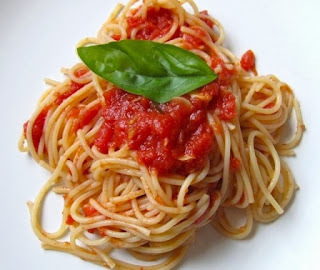 This is the sauce that we have on our web site: www.classicpasta.com, under fresh tomato sauce. We call it Marcella #3 because it first appeared in her first book, "The Classic Italian Cook Book," under "Five Tomato Sauces", and of course, was #3 on that list. It was always a major hit. In her recipe it calls for fresh tomatoes, of course. We make lots of it every summer with the very best, ripest tomatoes available, and freeze it for those winter months when its incredible odors and flavors bring back the summer wonders. Put the canned tomatoes in a medium saucepan, add the butter, onion and salt and cook uncovered at a very slow simmer for about 45 minutes, or until it is at the thickness you like. Stir from time to time and smash the tomato chunks with a wooden spoon. When ready, toss the onion. Correct for salt. That's it. Right amount for about 1 1/2 pounds of spaghetti.